Image: A white heart on a reddish-orange background. 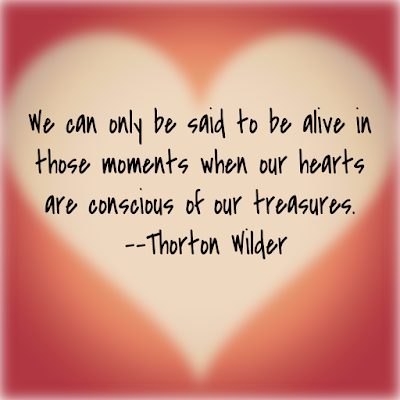 The text reads: "We can only be said to be alive in those moments when our hearts are conscious of our treasures.--Thorton Wilder"
Recognizing and expressing thanks does make us feel more alive. Please join us, and invite others to do the same. 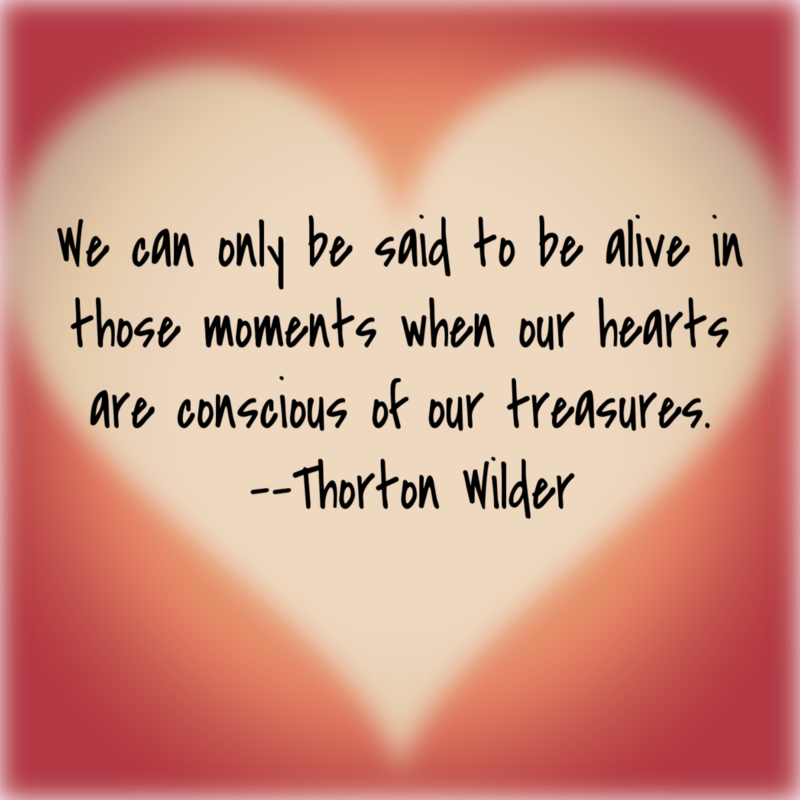 Regardless of what is happening around us, we can find a greater measure of peace as we reflect on the good. 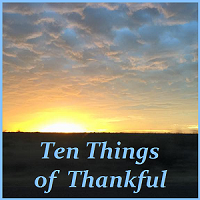 Ten Things of Thankful: Enrich Your Soul with Us! Ten Things of Thankful: October is Here!